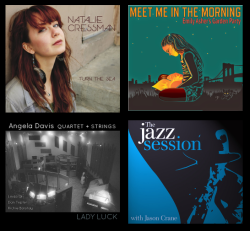 On this episode, three musicians who’ve recently been on the show, and even more recently recorded new albums: Natalie Cressman talks about Turn The Sea; Emily Asher introduces Meet Me In The Morning; and Angela Davis tells the story behind Lady Luck. 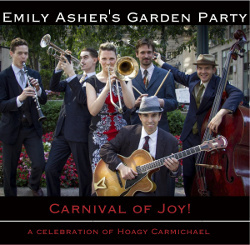 Trombonist and vocalist Emily Asher’s latest recording with her band Garden Party is Carnival Of Joy!, released in 2013. In this interview, Asher talks about her journey from playing trad jazz in the Pacific Northwest to her current life as part of the same scene in New York; her new project with bass sax, accordion and trombone; the difference between recreating music and re-imagining it; and her plans for her next album. Learn more at www.emilyasher.com and follow her on Twitter at @emasherbone. BUY Emily’s music in The Jazz Session store and a portion of your purchase price will benefit the show. Note that you can click on a link in the store and then buy anything you want, and a portion of whatever you buy will help the show. Thanks! 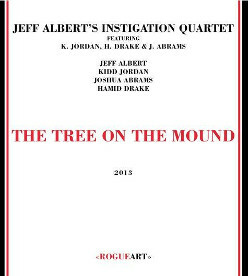 Trombonist Jeff Albert’s new album is The Tree On The Mound (RogueArt, 2013). In this interview, recorded in 2011 in New York City, Albert talks about teaching improvisation to kids; the intersection of computer technology and improvisation; and why you’ll always hear a groove at some point during a Jeff Albert show. Learn more at jeffalbert.com and follow him on Twitter at @jeffalbert. 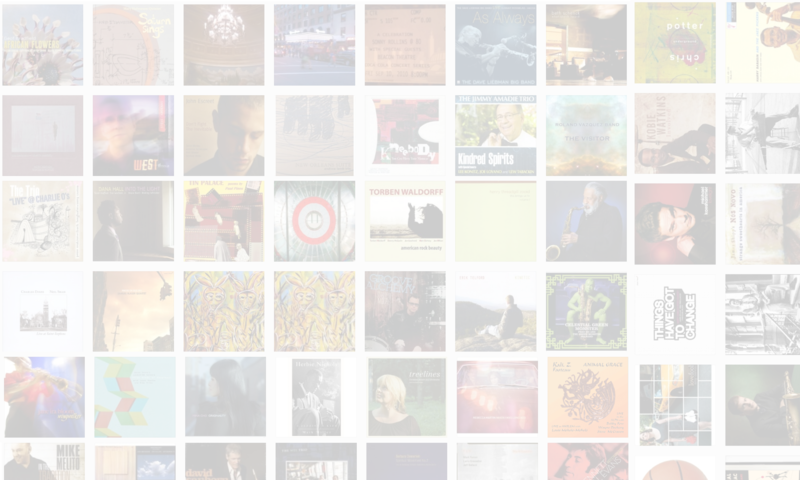 Please donate to the Kickstarter campaign to bring back The Jazz Session. Click here to donate. 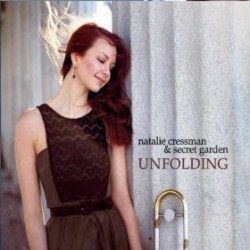 Trombonist and vocalist Natalie Cressman’s debut album with her band Secret Garden is called Unfolding (2012). In this interview (the final interview conducted for The Jazz Session) Cressman talks about her parents and their influence on her music; why she moved from San Francisco to New York; how she decided she was ready to make a record; her work with Phish’s Trey Anastasio; and her plans following her graduation next year from the Manhattan School of Music. Learn more at nataliecressman.com and follow her on Twitter at @nataliecressman. 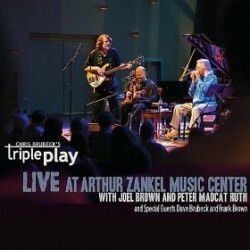 Multi-instrumentalist and composer Chris Brubeck’s latest CD is Live At Zankel Music Center with his band Triple Play. In this interview, conducted at the American Museum of Natural History in New York, Brubeck talks about his orchestral compositions; how he gets inside the lives of the people he writes music about; the history of the band Triple Play; and writing music with his father, Dave Brubeck. Learn more at chrisbrubeck.com and follow him on Twitter at @ChrisBrubeck.